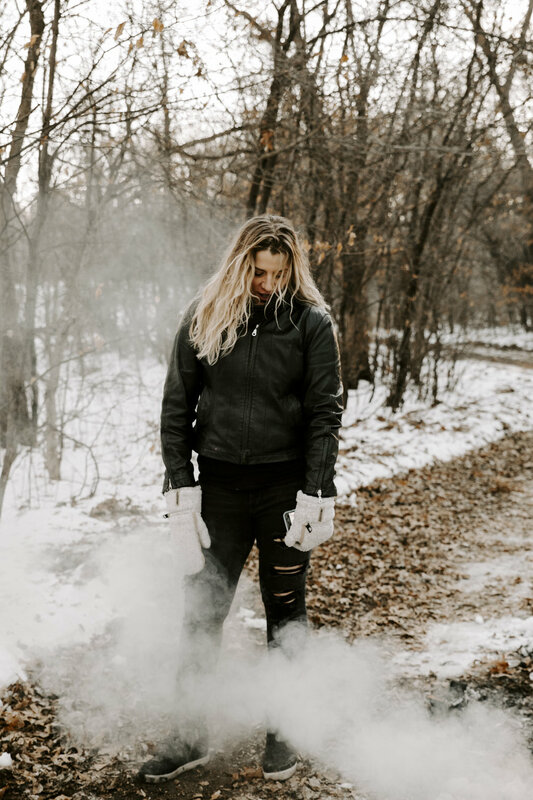 This third and final installment of the End of Times Series comes to a close in the Winter of 2019. I have gathered the best of the best to react to and remind us all that with beautiful art comes hope for the future. 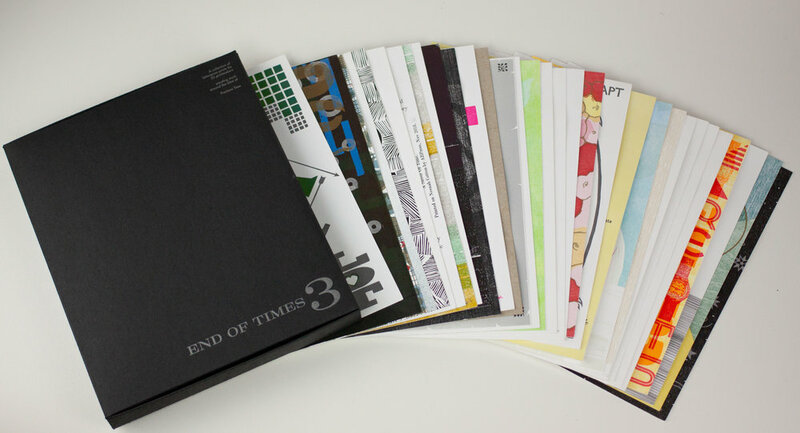 End of Times 3: Precious Time is a broadside exchange that features letterpress prints from 32 national and international printers and designers. Neenah Paper donated Florescent White Cotton 110# paper that all of the broadsides are created on, the only constraints were that the works had to be vertically formatted and letterpress printed. From there each artist spent time reflecting on the theme and exploring their own skill sets to produce exquisite individual prints. This wasn’t just about creating individual pieces though, it was about adding voices to a chorus. Every participating artist will recieve the complete collection of works to cherish, packaged impeccably in their own work of art designed and printed by Studio On Fire. The caliber of art represented in this collection is astounding. I am so proud to have been given the chance to work with such talented artists and so grateful that you are taking time to enjoy it with me. Would you like to host this exhibition? You should, I have put together the most wonderful Traveling Exhibition Package that any that any gallery owner would love! Would you like a PDF of the packet? End of Times began with me having 4 interns and not enough stuff to keep them busy! I thought, hell, we could pull of a kickass broadside exchange with all the printers I know, lets do it! The theme was the end of the world due to the fact that my birthday that year (12/21/12) was the end of the Mayan calendar and due to be some sort of apocalypse. We got out the call to about 35 printers and we were off. It was an amazing collection of printers around the nation and the show toured to many exhibits. Then in 2016, the world started to feel apocalyptic again, people were angry and unsettled and I wanted to get back to the source, I wanted to curate a sequel to my first E of T show and bring us, the people, back to the things that bring us happiness-art making. This time we drew 20 from the first edition and invited 21 new printers from around the globe! It was so exciting finding people that I only new from social media that were stoked to be a part of the new show, everything was bigger and better this time. We got Neenah Paper to sponsor so all the printers got beautiful paper, we had a great show and reception with a wonderful panel talk all held at the College of St. Benedict. Tour schedule will be updated as exhibitions are scheduled. who have helped bring this exchange to life. As a small town print shop, coordinating the execution and distribution of paper, products and packaging is a big task. We simply couldn’t accomplish any of this without the amazing support of local business partners. Once again Neenah Paper donated beautiful sheets of NEW Neenah Cotton Fluorescent White Letterpress Finish paper for each artist to create on. This year, we were also able to partner with Studio On Fire from St. Paul to create some of the most beautiful packaging ever. Silver ink printed on jet black paper and die cut to perfection. Chank Diesel of Chank Fonts became a sponsor and allowed us to use his gorgeous fonts for the beautiful catalogs that accompany each set of prints. We thank AIGA MN for helping to promote the opening and to bring awareness of more rural happenings to the city of Minneapolis. Last but not least we give a shout out to Rubinski Visual for the amazing promotional photographs that will continue to grab the attention of anyone that lays eyes on them!Each business contributed because of a deep appreciation for letterpress and the community building that this exchange brings and we are so grateful for their support. Please join us in an echoing and resounding: THANK YOU!